Marital breakdown is undoubtedly one of lifes most stressful events. Adversarial divorces, in particular, can permanently damage the family members, causing great financial and emotional hardship. Fortunately, litigation is just one end of a wide divorce resolution spectrum. 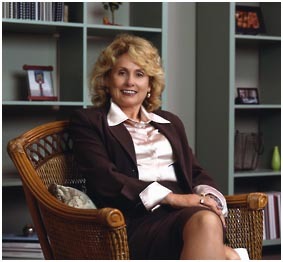 Los Angeles County Attorney Fern Topas Salka, a fellow of the American Academy of Matrimonial Lawyers and a Certified Family Law Specialist, offers consensual dispute resolution options (CDR) that avoid courtroom intervention. She takes a progressive, eclectic approach at her Brentwood practice, offering case management, mediation, collaborative, coaching, second opinions, consulting, drafting, settlement negotiation and other limited representation services. Contact Fern Topas Salka today for more information or to book a consultation.